I was beginning to wonder if warm, dry weather was ever going to make it to Ohio this year. Well, my question was answered when I finally had to take the cover off my living room A/C and turn it on yesterday! Yes, warmer weather has definitely arrived…91 today and 95 tomorrow! Yikes! Well, we are only about three weeks away from Summer, so what did I expect? What I didn’t expect was how busy the heaven’s have gotten this time, so let’s get started! The New Moon this month will also provide a partial solar eclipse. Although it won’t be visible in the US, except for the northern part of Alaska, that doesn’t mean we won’t feel the effects of the energy created by it. The New Moon occurs on Wednesday, June 1st, at 5:03 p.m. EDT with the Sun and Moon both in Gemini. We talked about the Sun in Gemini the last time – how Gemini natives can be witty, intelligent and sometimes elusive because of that second personality hidden inside. I also mentioned that the lesson here is about learning to look at things from another perspective and learning patience. With the Moon in Gemini, the positive effects that can manifest are the stimulation of the imagination which can provide for highly creative work. The other side of this can be someone who enjoys telling lies and forgets everything about the truth. In other words, they are very creative with their interpretation of life. Remember I mentioned that Gemini makes one talkative? Well, double that now with the Sun and Moon both in Gemini. Some people won’t know when to let others get a word in edge-wise. If you can get them (or you) to engage their hands in writing, something very creative might be brought to life. This is also an energy where the tendency is to rationalize ones emotions. It’s all that Mercury influence having a huge affect on the Moon. Right now is not the time to make any decisions based on how you feel. You just might not be able to figure out how you exactly do feel. It’s best to wait until the Sun and Moon both move closer to another sign – Cancer for instance. Patience and practicality are primarily absent now so, if you are aware of that, you can slow yourself down and remember now would be a good time to ground yourself in order to think more clearly and make more sound decisions. And what effect should we expect with a solar eclipse? Well, eclipses, even partial ones, always intensify energies. So this would be a very good time to be aware of whether this transit of the Sun and Moon is affecting you and take a deep breath – it won’t last long and you will soon feel your old self again! And speaking of Mercury, it will be moving into its home sign of Gemini on Thursday, June 2nd, at 4:03 p.m. EDT. Mercury in Gemini is impersonal although versatile and unbiased. It is more concerned with facts than attitudes. In fact, the energy of this placement can make one intensely curious. It creates a thirst for knowledge – a desire to know everything. The down-side to this is that it can cause a person to spread themselves too thin. They may jump from subject to subject, never finishing anything because something else has peaked their curiosity. This is also a time when external stimuli can be hard to shut out. On one hand, it can provide the ability to do two things at once. On the other hand, external stimuli can reach a point of overload and one can find themselves with the desire to close themselves off from the world until things quiet down. This is also a great time for anything that requires manual dexterity. Sewing, carpentry, sculpture, or any field that requires an ability to be clever with ones hands, can be places of creativity now. Neptune’s been moving through Pisces – its home sign – since the beginning of April. At 3:28 a.m. EDT on Friday, June 3rd, Neptune in Pisces goes retrograde. Neptune in Pisces is about confronting illusions about spirituality, God, values, and all things mysterious, magical and make-believe. To have this planet go retrograde right now brings us the energies of karma relating to how we might have used or abused our spirituality in the past – including this lifetime as well as other lifetimes. It may be that spirituality was never developed or that it was neglected or misused in some way. Neptune retrograde in Pisces is also about sensitivity and understanding and, in a negative sense, also deceit and fraud. Have you come to a time where it is important for you to sweep away all the misconception, deception and fraud where your spiritual beliefs are concerned? Have you neglected that part of your life up until now? This is a highly intuitive time and it may be that you are being given the opportunity to bring your dreams into reality by first seeing your reality very clearly, by discovering Cosmic Laws and Truth, and putting them into place within you. Retrograde Neptune in Pisces provides the energies to put the past in the past – once and for all – and integrate your senses with your dreams and ideals so that they can be made manifest in a reality you now see very clearly. Jupiter, planet of expansion, now moves into Taurus, a sign that doesn’t welcome risks at all on Saturday, June 4th, at 9:56 a.m. EDT. The energies of this placement are those that don’t want to rock the boat. The ideal is for nothing to be challenged, changed or have to be discarded, dismantled or pondered too deeply. Restless Jupiter, always seeking to expand its search for Truth, will still have the upper hand here, but it will have to be done slowly and methodically. There is a strong need now for security and stability. The desire here is for ones philosophy to be comfortable and practical. There is also a desire to preserve that which is found to be valuable – both spiritual and material in nature; a reverence for Nature; and, the practical outer expression of inner values. Combine it with Neptune retrograde in Pisces and you have some prime energies for spiritual and philosophical discoveries! At 10:23 a.m. EDT, on Thursday, June 9th, Venus will begin transiting through Gemini. Here the warm and earthy energies of Venus are combined with the airy, rational energies of Gemini. This can produce a time when you really don’t want to be physically touched. After all, Gemini is about intellect rather than emotion. The attractions for you, at this time, may be mental rather than physical. Even your approach to love may be intellectual. You may find yourself reading and thinking about it, but rarely feeling it now. Travel, in the pursuit of pleasure and social activity, is highlighted now along with literary activities, especially poetry and jokes. 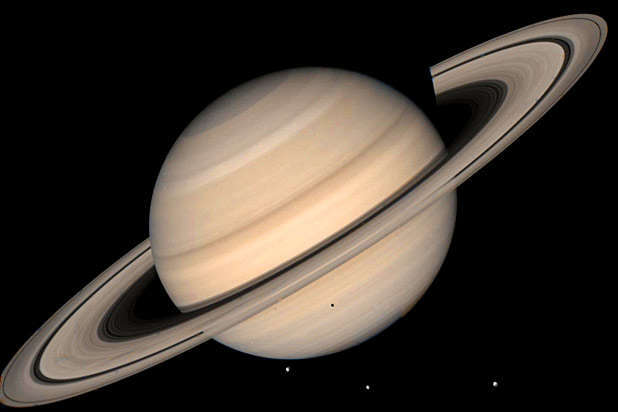 Saturn in Libra, having been retrograde for most of this year, will now turn direct on Sunday, June 12th, at 11:52 p.m. EDT. Was that a sign of relief I just heard? Even when it’s moving forward, Saturn is about lessons. Here, it reminds us that to accomplish anything, human cooperation is necessary. For that to happen, all parties involved must be treated justly. Justice requires mutually accepted rules of conduct and commitment. The energies now are aligned for awareness and work in this area. This is about relationships and responsibilities in those relationships. For this reason, it covers marriage, business partnerships and even close friendships. It also covers all contracts. If there is work that needs to be done in any of these areas, now is the time to begin. If contracts are involved, read them carefully. This is a powerful position for Saturn and gives much social awareness and social responsibility. The ability to plan and organize group endeavors is highlighted now. Begin planning and organizing that event now and the energies will be with you. Well, my sneakers are smoking! That was quite a lot of ground to cover. I hope you found it interesting and useful. I welcome any questions you may have concerning any of the information we covered – or any other questions, for that matter. May you have a wonderful, joyous June! This entry was posted in Astrology and tagged Energy Medicine, Law of Attraction, Metaphysics, Numerology, Paganism, Self-Empowerment, Self-Healing, Self-Help, Spirituality, Transformation, Vibrational Healing, Wholistic Healing, Wicca. Bookmark the permalink.